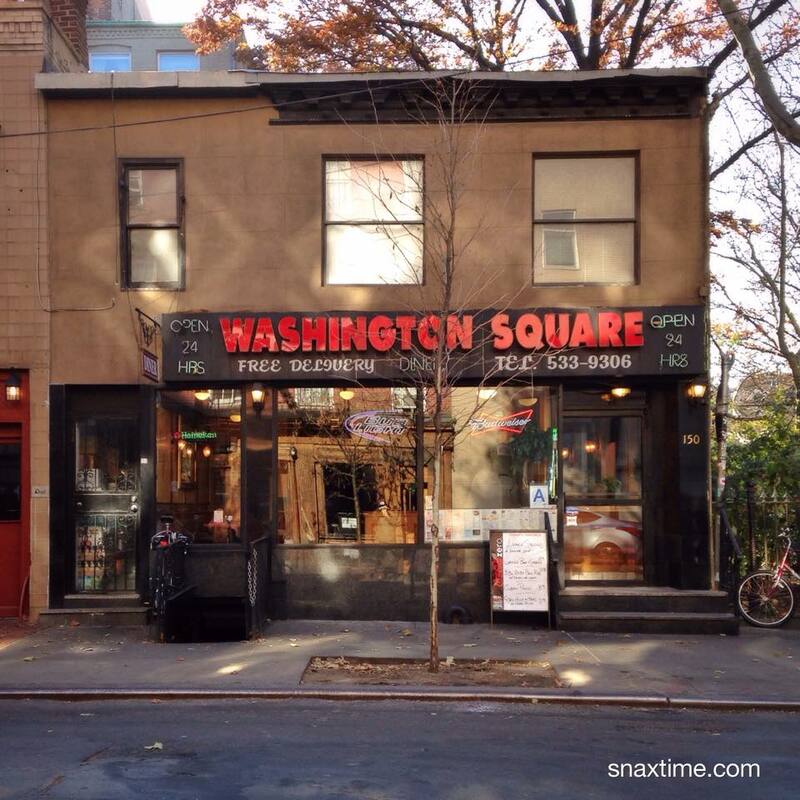 Around the corner from NYC's Washington Square Park sits an old fashioned 24/7 joint, Washington Square Diner (at 150 W 4th St). This is one of those places that seems to have always just been there. The facade in unimposing but welcoming. We figured we'd try it out one day when we were in the mood for a no frills, NYC diner lunch. Inside is classic -- shiny pleather diner booths with lacquered wood tabletops, a counter with stools and a view of frosted cakes and flaky pies behind glass. We had a friend with us so we sat at a small booth, leaving the counter for the older gentlemen dining by their lonesome. It was cold outside so we wanted something comforting and hearty. 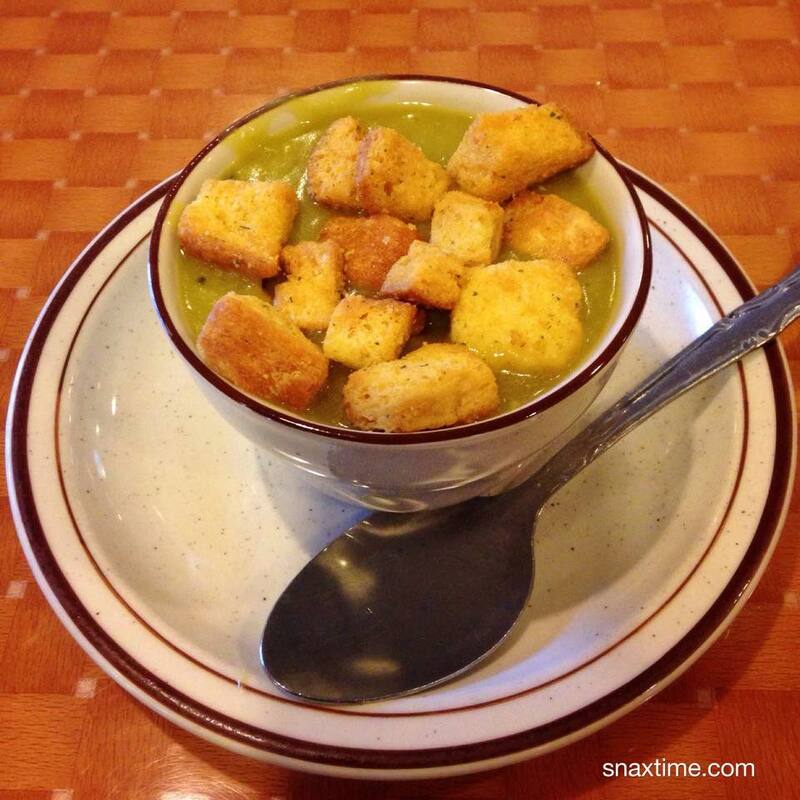 We started with a cup of the Split Pea Soup, which was velvety, savory, piping hot and topped generously with buttery, herbed croutons. The taste was outstanding and it gave our belly a warm, snuggly feeling. 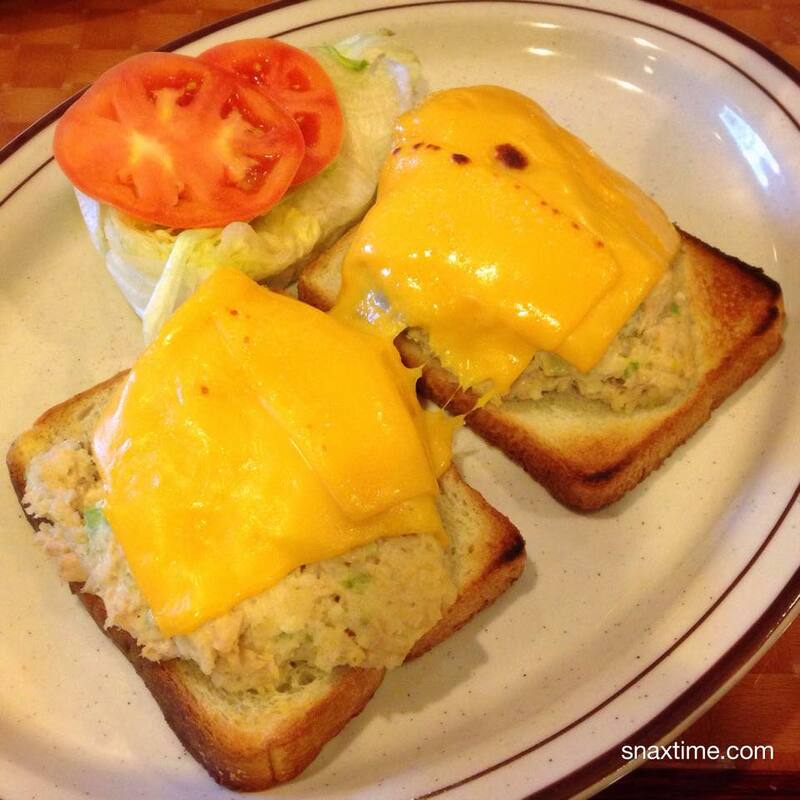 We then had the Tuna Melt. This open-faced treat came on white toast with American cheese, crisp iceberg lettuce and tomato slices. It tasted like a quintessential retro American meal and we couldn't think of a more perfect way to satisfy our hunger. The tuna salad was prepared with celery and lots of tangy sweet dressing which made it delectably creamy and light in texture. The smooth American cheese tasted spectacular with the tuna salad and the lettuce and tomato really brightened up the whole meal. This was a 5 star lunch and the price was very reasonable. Score! We're excited to have found such a gem and look forward to going back, next time to sit at the counter and maybe leave room for dessert.